No matter what religion you follow or if you don't follow one at all, there's no denying that the world's belief systems have always been an important part of history and act of foundations for certain values and morals. 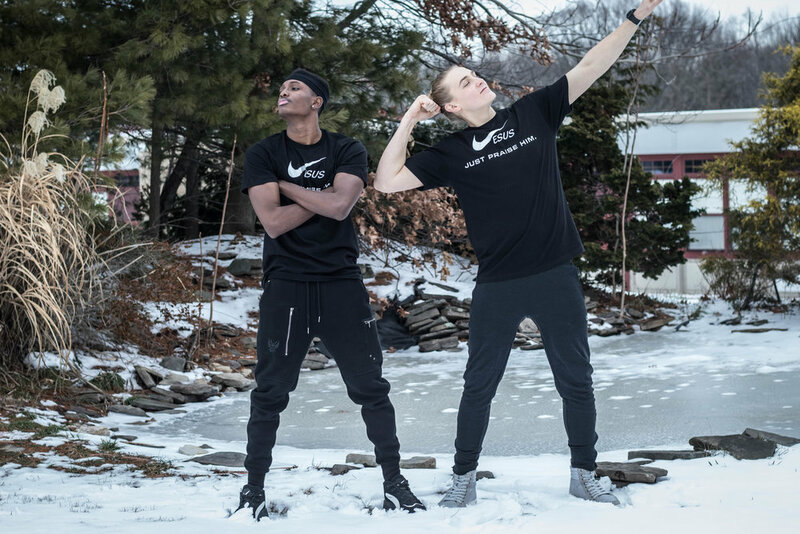 They can even be foundations of friendships as seen with today's two January fashion featured individuals, Mike and Isaiah who have both previously made appearances on the blog. Their shared Christian ideologies have allowed the boys to bond on an unmatched level, but of course, they do keep other common passions that have flourished their relationship. On a daily basis for both of them though, their strength through faith has gotten them through many challenges and has allowed them to have a new perspective on life. Mike and Isaiah met roughly two years ago, and as soon as they met, the pair clicked. This duo frequently went to the gym together and participated in many intense work outs. They always made sure to always keep in focus and get the ultimate best out of each other. 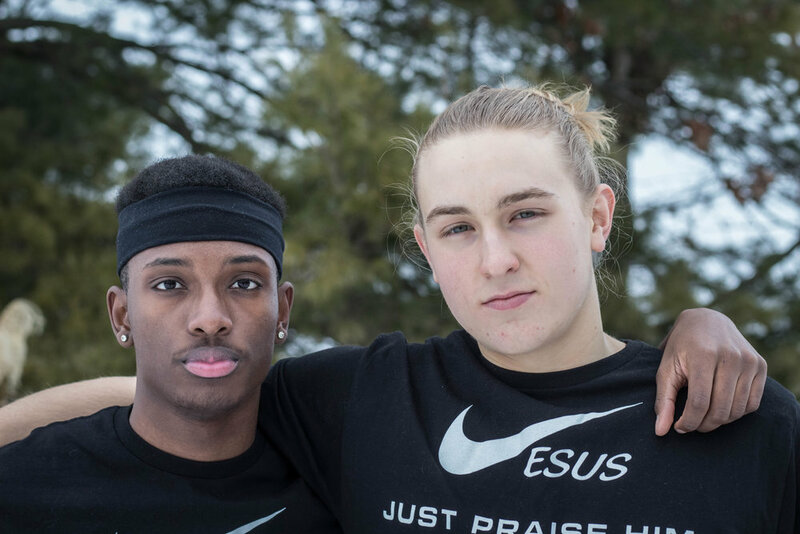 Throughout the past two years, Isaiah has learned a lot from Mike, and Mike has learned a lot from Isaiah both in the weight room and in religion. For the two, sharing their spiritual beliefs has allowed them to discuss and teach scriptures and psalms to one another. Isaiah mentions that he's luckily to have a guy like Mike in life whose common religion allows them to have the same mindset and similar goals. For both of these young men, God wasn't always a large part of their life until they got older. Isaiah and Mike both became more fascinated and captivated by their Lord as they entered their teen years, and as a result, each became more internally stronger. The pair mentions that they've had many trials and tribulations but believe it was God who was able to pull them out of it. For Isaiah, the more he begins the pray, the easier his life becomes. For Mike, religion has turned him into a better man who is more understanding, loving, forgiving, honest, and motivated. Every single day, their power through faith encourages them to push forward through hard days and hard problems. As we steer towards a more "politically correct" country, we tend to keep our own beliefs to ourselves. Yet, our religion, no matter what it is, is something to be proud of. For the boys, God has blessed them with many talents and opportunities. Everyday, the duo thinks and reflects on the lessons they've been taught through the bible as well as offer thanks to their religious figures. 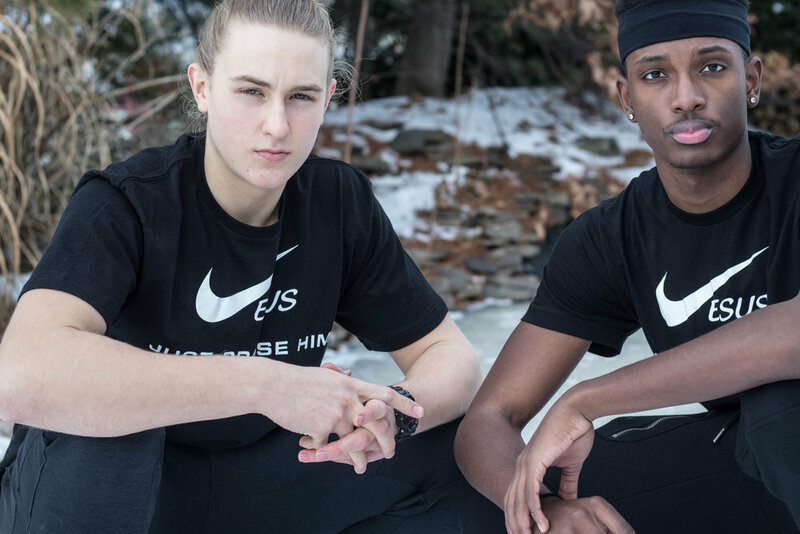 That's why for today's January fashion and teen winter fashion, the boy's are rocking shirts that read "Jesus, Just Praise Him" that is based off the "Nike, Just Do It" tees. It takes a lot of courage to wear such a shirt in the community they live in, but Isaiah and Mike show no fear. On this blog, we don't support any specific organized religion, but we do support the enthusiasm and strength that these boys are displaying. You can find their awesome shirt here.